Vaughn received his undergraduate degree from Gettysburg College in 1965 with a Bachelor of Arts in Biology. He went on to earn a Master of Divinity from Lutheran Theological Seminary in 1969. 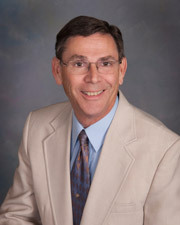 Vaughn entered the insurance and financial services industry in 1977 as a career agent with Lutheran Brotherhood Insurance Company. He obtained his securities licenses in 1980 and was awarded the Chartered Life Underwriter (CLU) and Chartered Financial Consultant (ChFC) designations by the American College in Bryn Mawr, Pennsylvania in 1986. 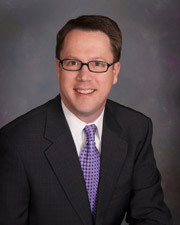 Vaughn joined First Heartland Capital, Inc., and established his independent advisory practice in November 2002. Vaughn and his wife, Joyce, have two children and five grandchildren. Vaughn enjoys sailing and butterfly gardening. David is a native of Chambersburg, graduating from Chambersburg Area Senior High School in 1985. He attended Penn State University and received his Bachelor of Science in Physics in 1989. He pursued his love of music with a Master of Music Degree from Indiana University. He returned to his hometown and began working with his father, Vaughn in the financial services industry in 1992. He maintains his securities and insurance licenses in PA, MD, OH, VA, WV, NY, NC & FL. David is a CERTIFIED FINANCIAL PLANNER® practitioner. David and his wife Leann have been married since November of 1997 and have three children, Joshua, Elise and Luke. They are active members of First Lutheran Church in Carlisle. His hobbies include traveling with his family, cooking with chocolate and making music with friends. Joyce is Vaughn’s wife and David’s Mother. She has been an integral part of the firm’s development from its beginning to the present. She has been a support for Vaughn and David for the life of the practice. As the receptionist, she greets clients with a smile when they arrive at the office or when answering phone calls. Joyce continues to assist with client relations and maintains our office supplies. 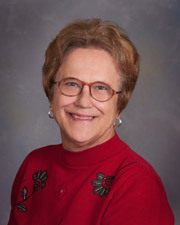 Joyce enjoys reading, needlework, traveling and spending time with family and friends. 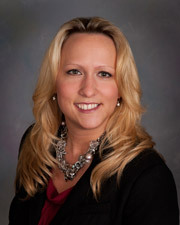 Rose joined our firm as our Client Services Team Leader in 2008. Her responsibilities involve managing a variety of activities that keep our office running as efficiently as possible. Some additional responsibilities include planning and executing educational and social client events, updating and maintaining our client database and filing systems, developing office policies and procedures, processing client account forms, and most importantly providing EXCELLENT client relations. Rose graduated in 2004 with a degree in Business Administration from Kaplan University. Prior to joining Erickson Financial Rose worked for an architectural firm as their office administrator. Rose is a native of Chambersburg, where she grew up in a large farming family. Rose and her husband, Jeremy, have three beautiful children, twin boys and a sweet little girl. The family has a farming business they all enjoy participating in. Rose is a member of her church's missions committee, she enjoys viewing and creating art, traveling and auctions. She enjoys golfing with her husband and greatly enjoys spending time outdoors with her three children. Amber joined our team as our Client Services Assistant in June 2017. Her responsibilities include assisting Rose in the daily functions of running the office including: assisting in maintaining a welcoming and professional office appearance, participation in event planning and execution and continued client relationship building. Amber graduated from the Median School of Allied Health Careers in 2006. 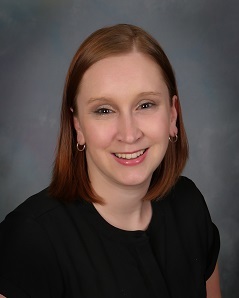 Prior to joining Erickson Financial, Amber worked as a receptionist in a local medical office. Amber is a native to Chambersburg and now resides in St. Thomas with her husband Jeremy, son Rhyker, 2 cats and a dog. Amber enjoys spending time with her family outdoors, being an active member at her church and helping with the nursery and children's ministry. Her hobbies include photography and scrapbooking.